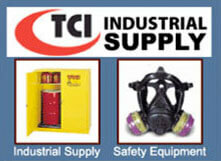 Thread Check Inc. offers a complete line of standard and special General Purpose Acme Thread Gages per ASME B1.5 - 1997. Acme Thread Gauges are used to gage internal and external threaded product. Acme Thread Gages are priced on request. The following list of diameters and associated pitches are recommended as preferred. 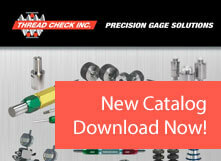 The threads below have been specifically selected to meet requirements with the least number of items in order to keep to a minimum the inventory of gages and tooling. Other size combinations including multiple start threads, centralizing threads, Stub Acme, Centralized Stub Acme, 60 degree Stub and diameters over 5.0 inches can be priced on request. Acme General Purpose threads have 3 classes of fit - 2G, 3G, and 4G. General Purpose Threads class 2G, 3G, and 4G are designed with clearance on all diameter which enables free movement. General Purpose These threads are ideal for assemblies where the internal thread is rigidly fixed and the external thread moves perpendicular to its axis. It is recommended that threads of the same class should be assembled together. Class 2G is the most popular thread class of fit. Class 3G and 4G should be used if less backlash is required. Centralizing Acme thread gauges are designated by the letter C and the classes of fit are designated as 2C, 3C, and 4C. Other types of threads are Stub Acme and Centralizing Stub Acme. All Acme threads have a 29 degree included angle. The abbreviations listed below are recommended for correct thread nomenclature on gages, tools and drawings. The 3 wire measurement of pitch diameter for Acme and Stub threads and thread gauges can be applied for threads having lead angles of less than 5 degrees. There are many applications involved in multiple start Acme and Stub Acme threads that involve lead angles larger than 5 degrees. For these applications, Thread Check’s expert sales engineers can assist their customers in determining the correct thread measuring wires and constants for measuring thread and plug gauges. 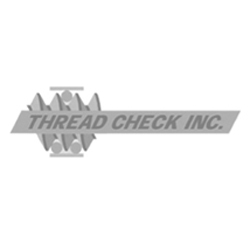 In addition to thread plug and thread ring gages, Thread Check also offers ThreadTech Software for windows which calculates all threaded part and gage data including specials and multiple starts.